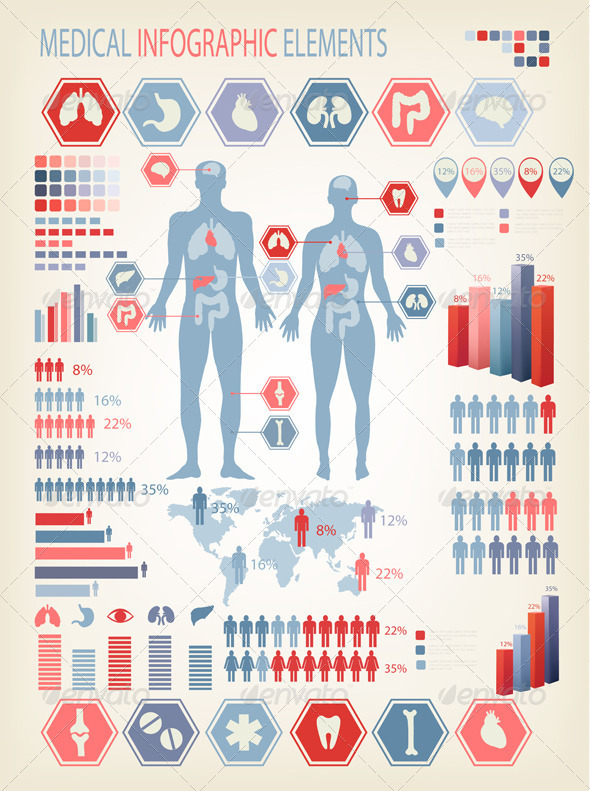 Big Set of Flat Medical infographics elements. Human body with internal organs. Vector Illustration. Can be used for web design and workflow layout, social media, time management, work, navigation. Included: EPS10, AI file, JPG image. Fully editable, vector objects separated and grouped, gradient mesh used. Fonts: Text, titles, numbers – Myriad Pro Regular.